Paper straws are so much fun, right? They come in fun colors and patterns, that you can use for almost any holiday or season. They're made of paper so that you can easily cut them into different sizes. They're great for arts and crafts, and also for STEM or construction projects! 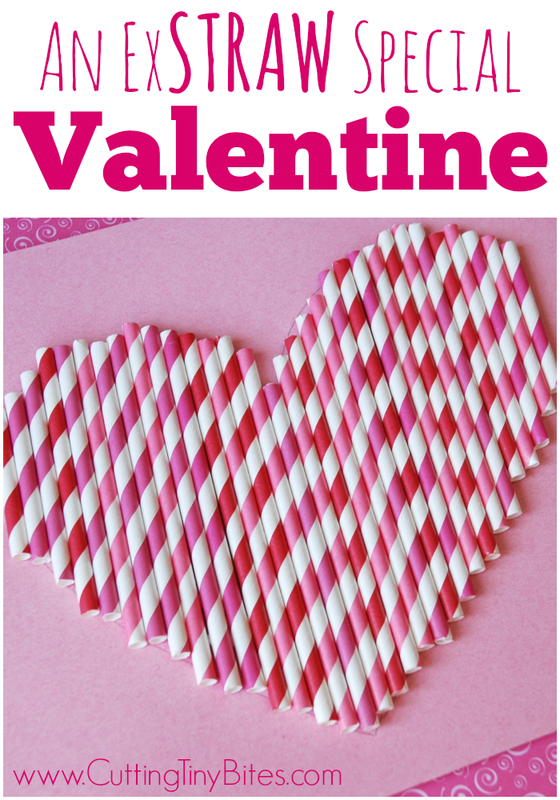 We ended up making several Valentine's Day crafts with our packages of pink, red, and white straws. First we made these fun Easy Paper Valentine Necklaces. Since we had tons of straws left over, we made ExSTRAW Special Valentines! 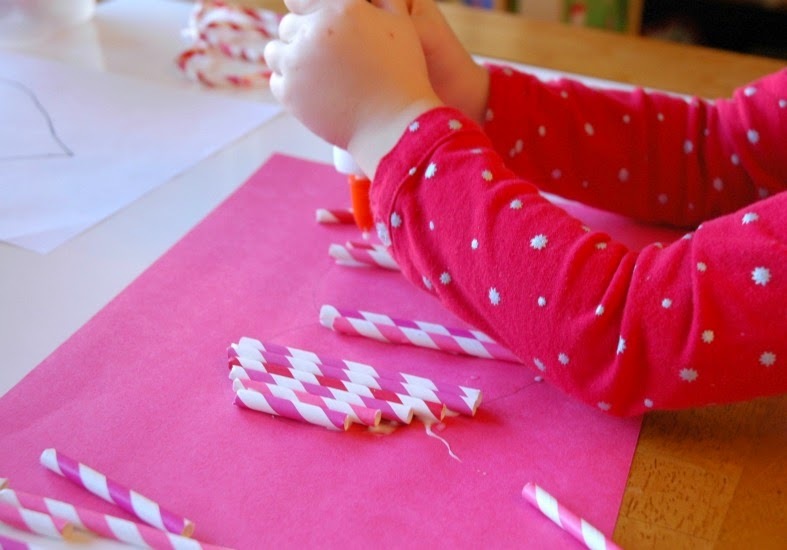 All you need for this project is some pink or red construction paper, a pencil, paper straws in Valentine colors, and some glue. Draw a simple heart shape on your construction paper. Cut the straws into a variety of lengths. While it's nice to have a good selection of lengths to start with, I recommend leaving some uncut, so that you can cut them to the right length as needed. Choose straws that will fill the space, and let your children glue away! 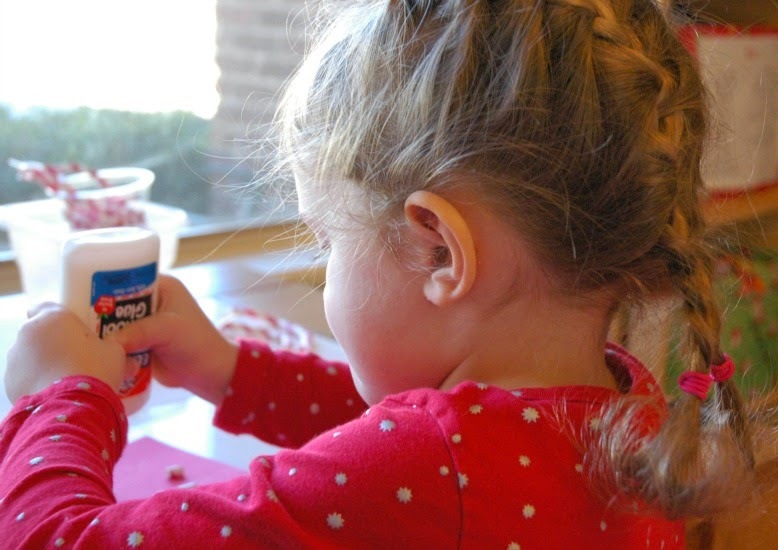 Squeezing the glue will give those little hand muscles a great workout! Keep adding straws until the heart shape is all filled in. 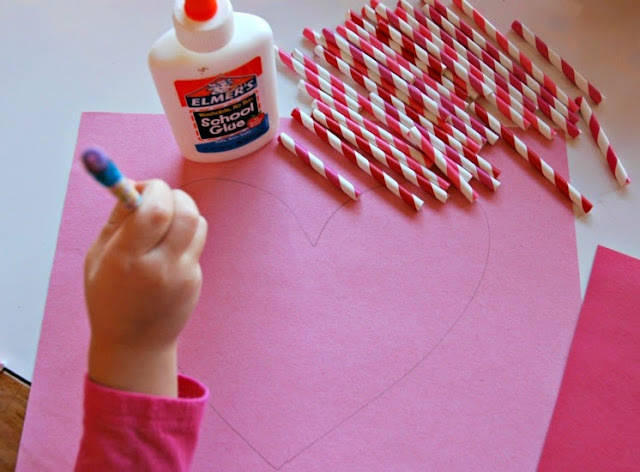 ExSTRAW Special Valentine- great fine motor heart craft for preschoolers, kindergarten, or elementary kids. 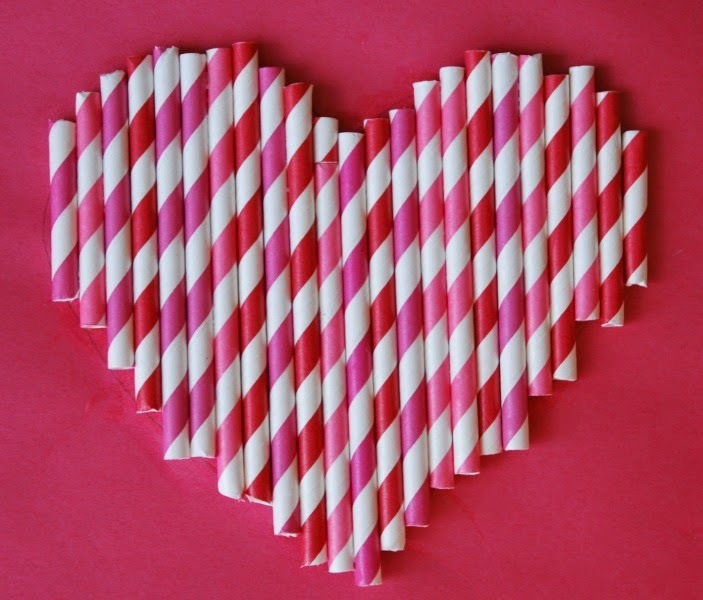 Use paper straws to make heart shape!